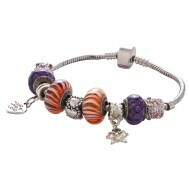 On the bracelet: - Purple clouds – SweetboxMurano glass beads (2 pcs.) 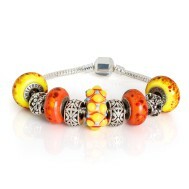 - Orange twists - Sweet.. 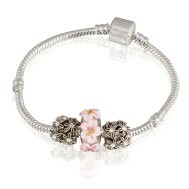 The main advantages of bracelets SWEETBOX - it's a nice price, external similarity and compatibility with expensive jewelry Pandora. 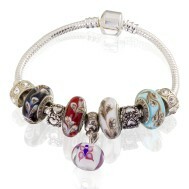 Instead of a bracelet you will be able to supplement their collection by several jewelery ornaments, purchase a set of earrings, a necklace or a ring. 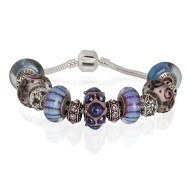 Here you can buy beads Pandora style inexpensive. 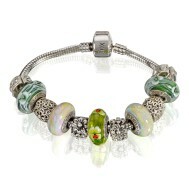 With a wide range of beads from Murano glass in different shapes and colors you gather its unique decoration, which will not yield to the beauty of the original bracelet Pandora. 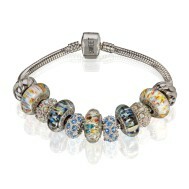 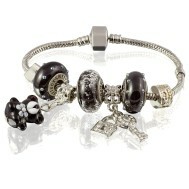 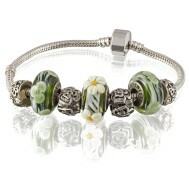 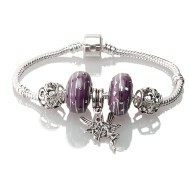 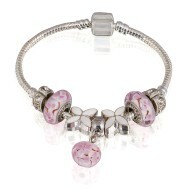 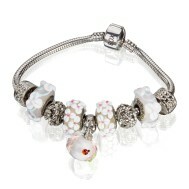 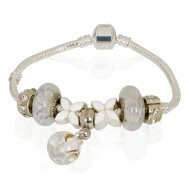 Brand Pandora bracelets are made from precious metals and stones. 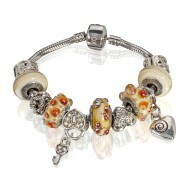 SWEETBOX Bracelets made in Ukraine. 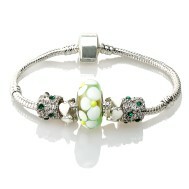 They are made from high quality hypoallergenic metal, leather, steel. 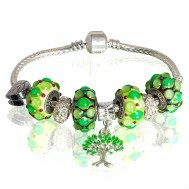 Charms for bracelets so you can choose from Murano glass, tree with artistic painting and steel. 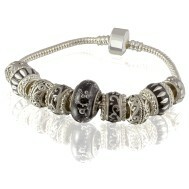 You can also order the beads with silver inserts. 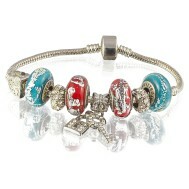 All of these beads are handcrafted, made by our craftsmen with love and warmth for you. 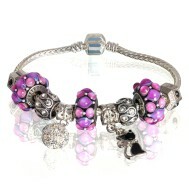 In addition, you have the opportunity to custom design order! 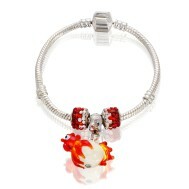 This decoration is not only beautiful, but also become a kind of talisman for his mistress. 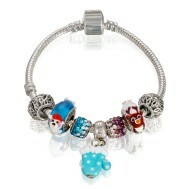 Each band member carries a hidden meaning, and are attracted to its owner desired life. 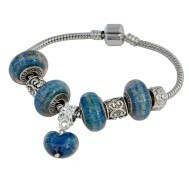 Choose beads to suit your style, your image and your mood! 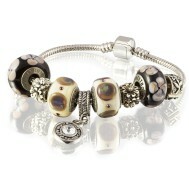 Experiment, be expressive! 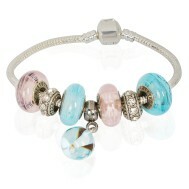 Bracelets SWEETBOX - decorations on the pulse of your mood!